George Otte is the owner and CEO of Geeks on Site. 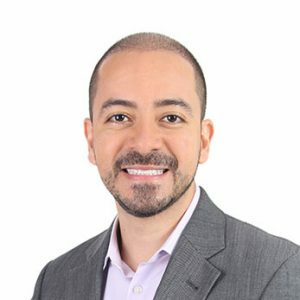 He is a driven Miami entrepreneur, deeply passionate about providing premium support both on-site and online to help thousands of computer users. Otte has more than a decade of tech support operations experience. He began his entrepreneurial journey at the age of 21 with the founding of Tech Support Services, a well-rounded technical support and PC repair company. TSS grew from a one-man operation into a thriving business with more than 100 unique clients, including a major South Florida bank. Otte later acquired Geeks on Site and focused on building the company into a nationwide provider of on-site tech support, remote computer repair, and other value-added technology services. Today, Miami based Geeks on Site offers a safe and convenient online remote PC repair delivery method, as well as traditional on-site, in-home and in-office service. The company excels at providing support for PCs, networks, printers, scanners, smartphones, MP3 players, software and hardware support. In his role as CEO, George Otte manages hundreds of employees across the U.S. for Geeks on Site. Eager to expand beyond computer repair and technical support, George Otte has also launched several other companies. In 2012, George founded Responsive Call Center, a nationwide call center and telephone answering service company. In its first year, Otte acquired six telephone answering service businesses throughout the U.S. and merged them with Responsive. In late 2013, George acquired Phase V Fulfillment, a fulfillment company out of Southwest Florida. He continues to launch and acquire new subsidiaries under his holding company, Otte Polo Group— including Otte Real Estate, a privately-held real estate investment firm, which came into being in 2015. Deliver the right solutions and services, quickly to customers. Provide friendly and professional IT support to customers. The vision for Geeks on Site stays bright. The company remains dedicated to being the most convenient and reliable online and on-site computer service for residential and small business in the US. For more information on George Otte and Geeks on Site, please look around the other sections of Geeks on Site.